Tighter, Tighter was written and produced by Bob King and Tommy James. Performed by Alive N Kickin, they took it up to #7 in the U.S. Tighter, Tighter sold over a million copies and was certified Gold. Two subsequent singles Just Let it Come and London Bridge failed to impact the charts, mounting difficulties with their producer Morris Levy and pressure from the label to produce more singles quickly, led Alive N Kickin to break up in the fall of 1971. The group reformed in 1976. They haven’t released any more albums or singles, but they continue to perform at parties and weddings. Lou Leabengula Myers was born in Chesapeake, West Virginia. His first big break came as an understudy in the Broadway play, The First Breeze of Summer. He has appeared in 20 films and was often cast as a grumpy old man. 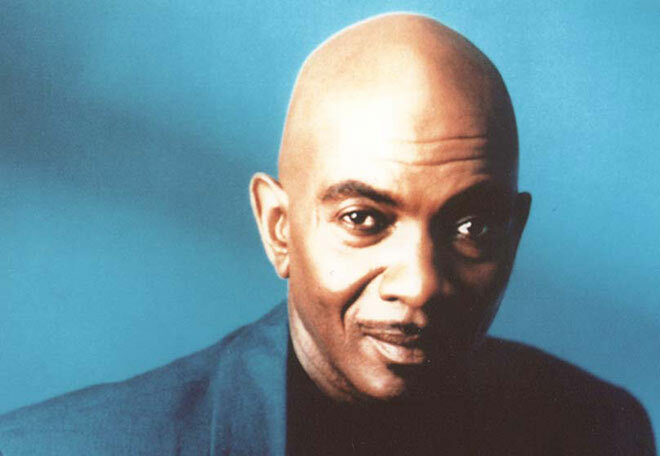 Myers is best known as Mr. Gaines from the sitcom, A Different World. Over his career, Myers won an NAACP Image award for playing Stool Pigeon in the play King Hedley II. He won an Off-Broadway AUDELCO award for the play Fat Tuesday. In February 2013, Myers died in Charleston, West Virginia after battling pneumonia for the last few months of his life. He was 77. Written by Swedish author Astrid Lindgren, Pippi Longstocking appeared in three full-length children’s novels. In 1941, Lindgren told Pippi stories to her daughter Karin while she was sick with pneumonia. In 1944, while Lindgren was laid up during an injury, she put together a manuscript. Initially rejected, Lindgren went back to work further revising it and added more nonsensical aspects to the story. She then submitted to a contest sponsored by Raben & Sjogren where it won in August 1945 and was published in November of that year. The debut Pippi novel tells of the 9-year-old, pigtailed, red-haired girl whose sea captain father has vanished at sea. Pippi moves to Villa Villekulla with a pet monkey, a suitcase full of gold and an unnamed pet horse. Pippi has superhuman strength and numerous other oddities and, until this point in her life, has lived her entire life at sea. As Pippi has to get used to life on land, the results are hilarious to read. Pippi has also appeared in many picture books, a 1949 feature film, a 1969 Swedish TV series, a 1984 Soviet TV movie, an American “ABC Weekend Special” 2-part TV special, a 1988 American feature film and an animated American/Canadian TV series. In 1971, two Japanese anime animators met with Lindgren to discuss the possibility of an anime film, but Lindgren nixed the idea. Pippi’s books have been translated into 64 languages. Trivia: The most popular children’s festival in Slovenia is Pika’s Festival, named after Pippi Longstocking. Zima was a clear, lightly carbonated alcoholic beverage. In 1993, at its introduction, it was marketed as an alternative to beer, sort of an alcopop. Zima means “winter” in Slavic. During the 90s, crystal beverages were all the rage and Coors wanted in on the action. At its peak in popularity (1994), Coors was producing 1.2 million barrels! It proved popular with women. 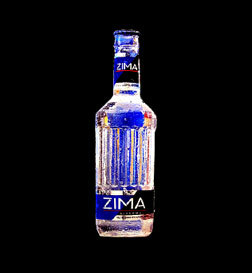 In 1995, in a bid to target men, they introduced Zima Gold, an amber-colored beverage meant to taste like bourbon. Men proved themselves unable to partake and Zima Gold was gone in a year. Seen and labelled as a “girly-man” beverage, the final nail in Zima’s coffin came in 2000 when Smirnoff launched Smirnoff Ice. In a last ditch attempt, in the late 2000s, Zima introduced new flavors — citrus, tangerine, pineapple citrus, black cherry and green apple. But the damage was done. In October 2008, Coors discontinued Zima. If you’re still in love with Zima, head to Japan. is actually pronounced “bouquet”) and Clive Swift as her hen-pecked, long-suffering husband Richard. The cast was rounded out with Josephine Tewson as neighbor Liz, Judy Cornwall as sister Daisy, Geoffrey Hughes as brother-in-law Onslow and Mary Millar (beginning in season 2) as sister Rose. Hyacinth and Richard had a son Sheridan who was never seen nor heard from except for calling Hyacinth on the phone begging for money. (During the show’s run, he was away attending university.) In season 2, Liz’s brother Emmet (David Griffin) came to live with her after his divorce. In 1999 in Amsterdam, a Eurodance group, Alice Deejay was formed. In July 1999, they released their debut single Better Off Alone. It hit the top ten in the Netherlands, Australia, France, Ireland, Norway, Sweden and the UK. Its best position was in the UK where it peaked at #2 and was certified Platinum. In the U.S., it only peaked at #27. A follow up single Back in My Life still did relatively well in Europe — peaking at #1 on Norway, but did not eclipse the success of Better Off Alone overall. Back in My Life failed to chart in the U.S. The other three singles off their debut (and only) album continued to fare less and less well — though all five singles were top 20 UK hits. In 2002, Alice Deejay officially called it quits. a character from Saturday Night Live sketches. Mary Catherine wants to become a superstar so she can get a kiss from Sky Corrigan (Will Ferrell). Oddly, critics didn’t hate it, in fact, Superstar received many positive reviews. Produced for $14 million, Superstar more than doubled Paramount’s money. Billboard 200 Album chart, certified Gold in Canada and certified Silver in the UK. 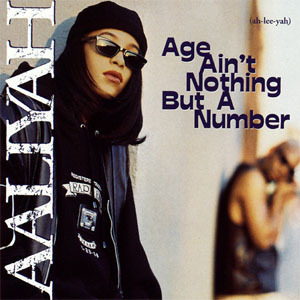 Worldwide, Age Ain’t Nothing But a Number has sold over 6 million copies. Aaliyah was signed to a deal with Jive Records at the tender age of 12. She was 15 for the release of Age Ain’t Nothing But a Number. The lead single, Back & Forth peaked at #5 in the U.S., #2 on the Dutch chart and #7 in Canada. Back & Forth was certified Gold in the U.S. The follow-up was a cover of the Isley Brothers’ 1976 hit At Your Best (You Are Love). It peaked at #6 in the U.S. and was also certified Gold. The title track fared much better in the UK (#32) than it did in the U.S. (#75). Down With the Clique and The Thing I Like only hit the UK chart. Aaliyah recorded two more albums before her death in August 2001. Her final self-titled album was released one week after her untimely passing. Aaliyah was only 22 years old. Aaliyah didn’t have a very long career, but her legacy endures. A look at most of the best-selling R&B artists of today in both the U.S. and the UK list Aaliyah as one of their influences. 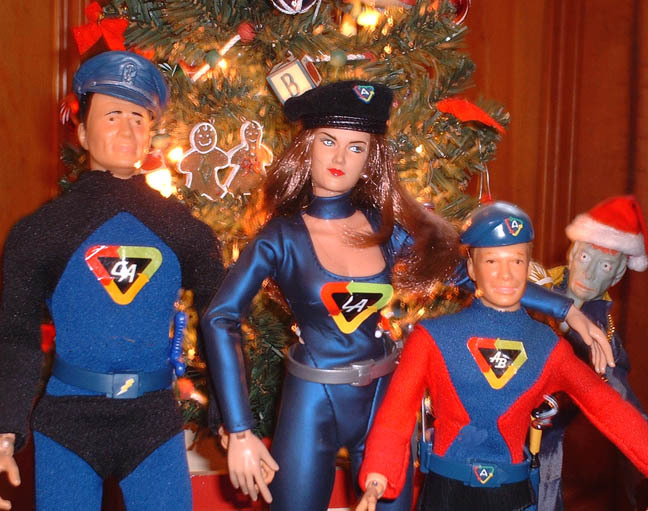 Captain Action was the rival to Hasbro’s G.I. Joe — even though both were created by toy developer Stan Weston. Captain Action was equipped with a wardrobe that allowed him to become Superman, Batman, Spiderman, Captain America, Aquaman, the Lone Ranger, the Phantom, Flash Gordon, Buck Rogers, Sgt. Fury, Steve Canyon or the Green Hornet. In 1967, a sidekick, Action Boy and an enemy, Dr. Evil were added. Then a line of female figures were added. The ladies were individually designed and were singular heroines (unlike Captain Action that you could to make whomever you wanted). The females introduced were Batgirl, Supergirl, Mera and Wonder Woman. In 1968, Captain Action was discontinued. Any character or even just an outfit can fetch you a pretty penny with collectors. 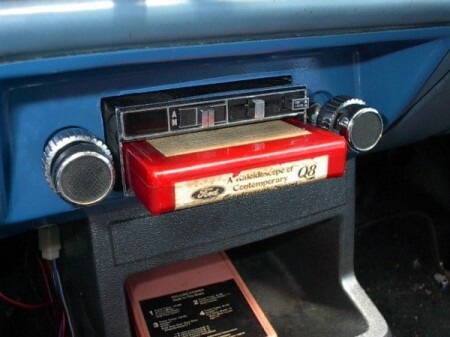 8-Tracks were originally manufactured by Motorola to give motorists an alternative to listening to the radio. Many record companies were quick to put their roster of artists onto 8-Tracks. Interestingly, 8-Tracks were almost unknown throughout Europe. 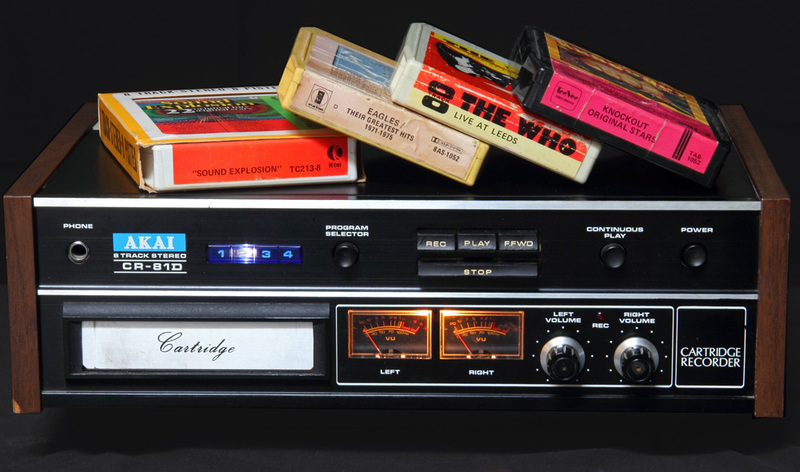 By the mid-1970s, record companies began to cease production of 8-Tracks because the quality was poor and the tapes were too bulky and inconvenient. 8-Tracks paved the way for 80s cassettes.